Other World Computing, also known as OWC, has announced the availability of a new external optical drive that is called Mercury Pro. 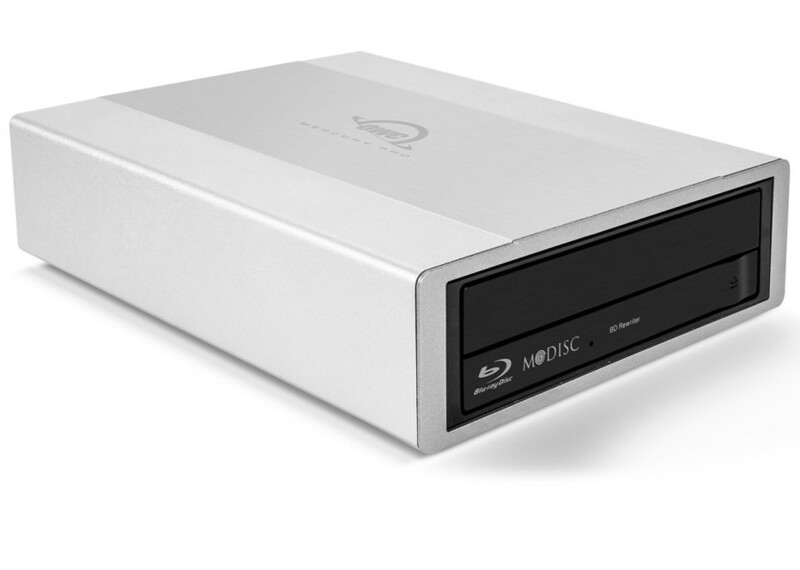 The drive features a sleek aluminum chassis as well as a USB 3.1 Gen 1 connection and support for plug-and-play and works with Macs and PCs alike. Mercury Pro supports CD, DVD, M-DISC and Blu-ray writing and reading and thanks to the USB 3.1 support it can be connected and used when there’s need. The drive can write DVDs at up to 24x speed while the writing speed for Blu-ray disks reaches 16x. In addition the supported M-DISC technology allows users to write information on M-DISC optical carriers, which feature special protection against data degradation and are designed to last up to 1000 years or even more. The new OWC Mercury Pro USB 3.1 Gen 1 optical drive comes with a 1-year warranty and accessory software that includes Smile DiscLabel software for labels and jewel case inserts, Prosoft engineering Data Backup 3 and NovaStor NovaBACKUP. No word on pricing as of now.